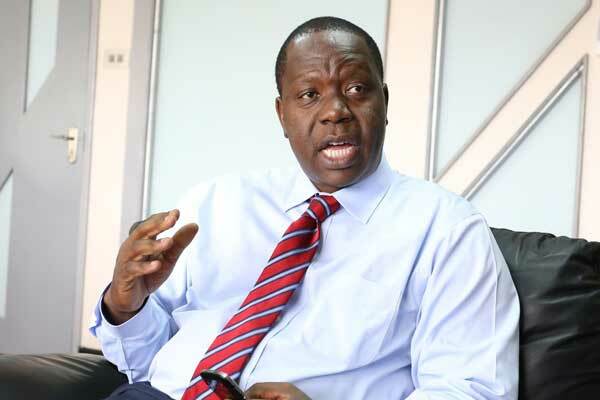 The no nonsense Interior Cabinet Secretary Dr. Fred Matiang’i has exposed some MPs for allegedly trying to solicit security tenders from him. His refusal to play along has created tension and enemnity between him and the members of parliament. Mating’i is known to be a staunch morally upright public servant and he said he would not bow to pressure to please politicians even after they threatened to taint his formidable reputation. “We are not going to die on boats trying to go to Europe because Kenya has been ruined by bad leadership. Some MPs who want tenders in the security sector have been on a blackmailing spree. They want me to listen to their lies and participate in their theft but I will never do that,” said Matiang’i. The alleged MPs and executive officials have tagged him as a part of an irregular acquisition of the controversial KSh 3.2 billion land.The CS has been implicated by the Senate Public Accounts and Investment Committee over the Ruaraka land allegedly belonging to tycoon Francis Mburu. “You cannot choose to abuse your mandate in trying to harass me into subservience. Let us be honest, the president has given us work and we must do it diligently. We have to do what we have been privileged to deliver,” he said. According to Matiang’i, working for the government was not to make a name for himself, but to be the change that people need. “I was not given that job to be popular. Some of us are not interested in popularity and only want to do excellence and leave a legacy in our country,” Matiang’i stated.